Usage Directions: After reconstitution use the 4 inch intranasal tubing provided with each dose and carefully spray the contents of one dose into one nostril of the horse. Discard the 4 inch tubing after administration of each dose and always use new intranasal tubing to vaccine the next horse. Administer a second dose 2 to 3 weeks later, and annually thereafter. Pinnacle I.N.can be safely used on horses as young as 3 months. 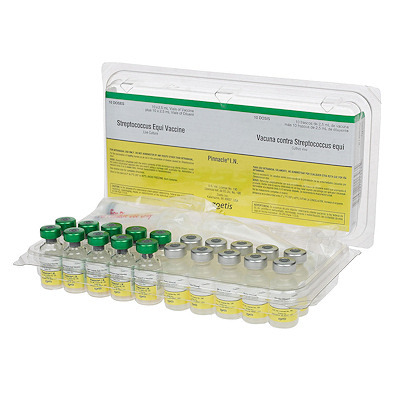 Caution: By Federal Law This vaccine must be sold only as a tray of 10 single doses. Do not inject Pinnacle, It will result in abcesses, This vaccine is for Intranasal administration only.